This post is sponsored by Carter's; however, all thoughts and opinions are my own. 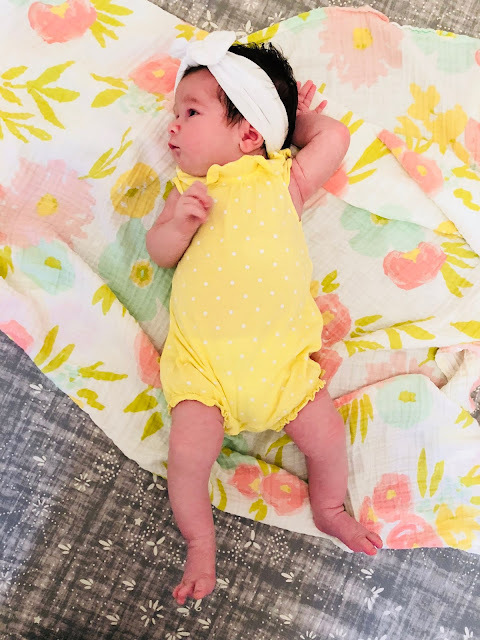 Just 3 weeks ago we welcomed our sweet little Chloe, on Mother's Day. She's my second baby girl and so I was a bit more prepared this time than I was the first time. I had a better idea of what works and what doesn't and what I like and don't like. Before she was born, I stocked up on lots of new, cute newborn baby clothes. I had some hand me downs from my first, but I needed some new basics for her that she could wear everyday. I do, and always have, loved Carter's for my kids. 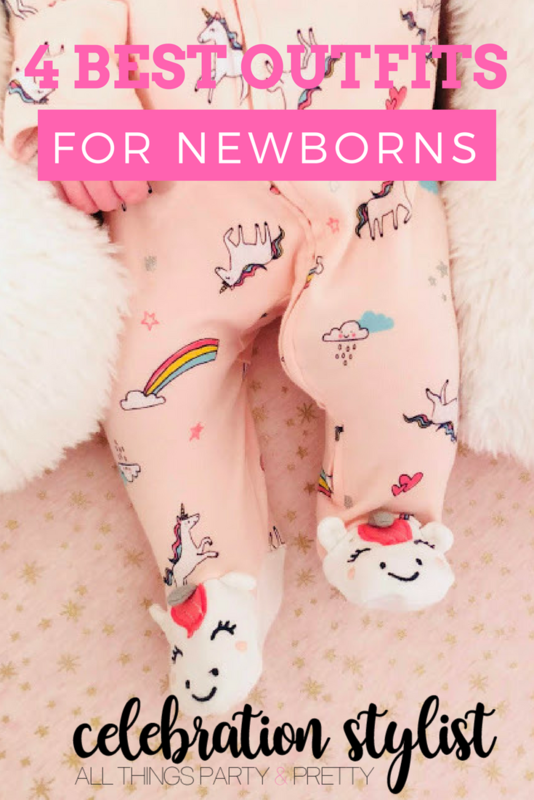 Their Little Baby Basics are affordable, versatile, and comfortable that I knew I could easily mix and match. These are a staple! They are so easy to pull on and off and they show off those cute little baby legs. It's perfect for lounging around the house or a hot, sunny day outside. If I'm leaving the house to run some errands, I usually just throw a pair of short or pants on over their onesies to turn it into a little outfit while on the go. If I'm going to go somewhere for a while or if I want the girls to look cute all day I turn to a cute one piece outfit. 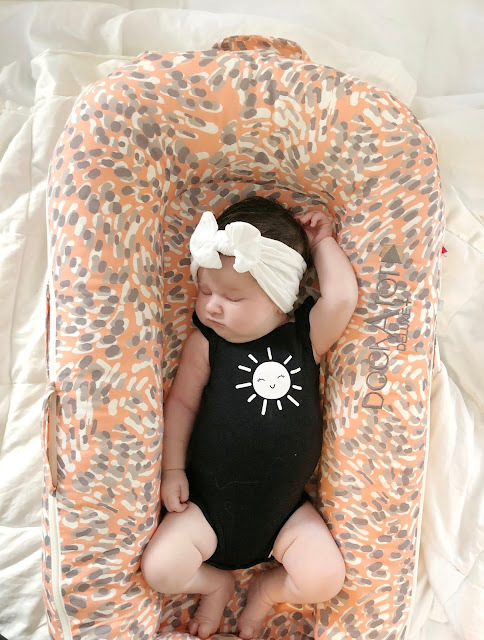 A onesie with shorts or pants is great for quick outings but can be annoying for diaper changes and shirts and dresses are also kind of difficult for this age when they can't stand up so I love having some cute one piece outfit options that are a little "fancier" than just a onesie. They're so much more practical for longer wear but look SO cute on. My favorite thing ever is sweet little jammies with cute animals on the feet! I have so many of these for nighttime and even for colder days too. I prefer lightweight cotton with zippers but they also have snap options and different fabrics too. These are the only style outfits I have bought this time around, they work the best for us so why even bother with anything else? They're both cute and practical which is exactly what I'm going for this time around. And babies grow out of clothes so quickly so the price of the new Carter's Little Baby Basics is just right. With sizes premie to 24 months, you can keep adding basics as they grow. Basics are also the perfect baby shower gift, you can't go wrong. Carter's is available in store or online. Shop their Little Baby Basics here or find a location near you. Holy baby fever lol. She's freaking adorable. I am loving the baby clothes too. All of these are cute, but I love the one piece dresses. Totally adorbs! Such cute baby outfits ... My friends would really value these idea. Will definitely share it with them. Oh my gosh, I love the pajamas with the cute feet!! They are soooo adorable! I love that kids can be so stylish these days! Super cute. These are such cute outfits! I am a mom of 3 girls and we love putting them in a onsie and a headband for our hot summer days! Oh my! These are so cute! I need to get some of these for my neice! Congratulations on the arrival of your sweet girl! Chloe is beautiful and I'm so jealous of all that hair! These are such darling outfits - she's already styling! I always forget what beautiful clothes Carter’s offers for babies. She’s on her way to being a mini fashion blogger! I have to send this list to all the second-time Mamas I know!